WEEKEND WRAP UP | Peter and Paul Snowden had their stable star and The Everest champion REDZEL (pictured) back to his best on Saturday claiming the Concorde Stakes at Randwick first up this preparation. The Snowden team were very satisfied to see Redzel return in such emphatic style, winning his 13th race from 26 starts and taking his career earnings over $8.8 million. 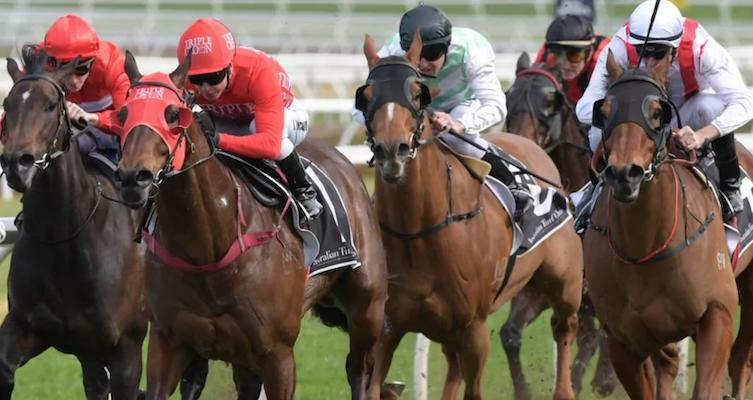 The win was the first of a double after PURE ELATION put her best foot forward making it three straight wins and returning a winner in the Furious Stakes. Kris Lees Racing didn't take long to strike after REGINAE was a dominant winner making it back-to-back successes for the filly. The win was one of three in metro grade, PRIORITISE was inform on the Sunshine Coast, as was stable mate TACTICAL ADVANTAGE who won easily for Australian Bloodstock. Steven O'Dea and Proven Thoroughbreds also teamed up at the Sunshine Coast and enjoyed the triumph of RECKLESS CHOICE under the guidance of Boris Thornton. A job well done to David Murphy who saddled up former Victorian BEL BURGESS to his first Queensland success while Brian Wakefield and Larry Cassidy got the best out of in form mare JARDIN ROUGE for favourite backers. A strong jumps win saw SIR LOPEZ and Patrick Payne on the board in South Australia as did Niki O'Shea & Ashton Downing after CELTIC BLAST made it a hat-trick of wins. Meanwhile Jarrod McLean Racing did it again with cult hero BRYAN at Caulfield! Pat on the back to Paul Jordan at Belmont who trained FIRE AND RAIN to victory while Brunton Racing enjoyed success in Tasmania with a double from THE AUDITOR and IVORYMAN. Neil Dyer found himself in the winner's circle in Darwin following wins from both BEAU GARCON and MULK, as did Gary Clarke with LADY ALCATRAZ. Across the seas and congrats to Stephen Gray with his win from SKY ROCKET and Lee Freedman for his double in Singapore over the weekend. A double also for South African trainer, Sean Tarry at Turffontein, while Nigel Tiley found success on the track with MELT at Ruakaka in New Zealand.